This endearing banner reads "Home Sweet Haunted Home." Hot-stamped canvas print on a canvas banner in black and orange with foil accents. Features a plastic rod with attached ribbon for hanging. 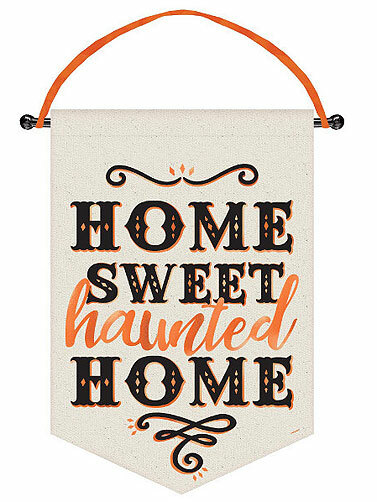 Home Sweet Haunted Home Banner measures 15"H x 11"W.